The 2019 Summit will be held on Tuesday, October 1, 2019 at The Crowne Plaza Sacramento Northeast located at 5321 Date Avenue in Sacramento, California. CEU's - Attendees will receive 0.5* CEU credits for attending the Summit (*pending approval). Event Schedule - We are currently reviewing all speaker applications and plan to have our schedule released by early May, 2019. Group Discount - Additional discounts are available for Groups of 3+ attendees, Save $100, e-mail safety@sacramentosafety.com for more details. 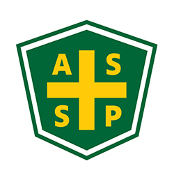 This annual summit provides one of the most sought after events for attendees to learn the profession’s best practices focusing on Safety, Health & Environmental Issues. The Summit is attended by over 200+ attendees annually and features an Exhibition of over 30+ Sponsors and Vendors. The event features a keynote speaker and 14 breakout sessions with four concurrent tracks running throughout the day. If you have any questions about the Sacramento Safety & Health Summit you can e-mail us at safety@sacramentosafety.com, fill out our contact form on the website, or call Erika May directly at 661.472.6591.